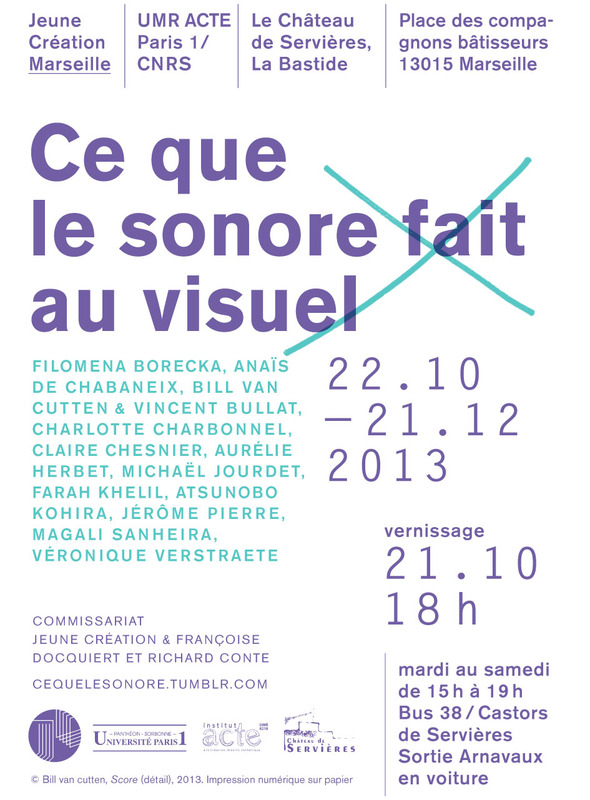 Vernissage le 28 novembre 2013 - 18h00 / 22h00. A. Camus, Le Mythe de Sisyphe. L’exposition The End est un environnement où se croisent différents regards sur le caractère fragile et éphémère de l’existence. C’est la conscience de la finitude, comme expérience existentielle liée au temps et à l’espace, sentiment d’absurdité lié à notre devenir. Cette conscience peut prendre différents chemins, nous accompagner ou nous perdre. C’est une question d’attitude : l’homme qui a saisi l’absurdité peut toujours choisir de regarder son horizon avec résignation, indifférence ou conviction. Albert Camus décrit l’homme absurde comme un individu capable d’accepter le caractère éphémère de la vie et de transformer cette acceptation en créativité. C’est la proposition des artistes invités à cette exposition collective par le laboratoire DERIVA : arracher au mot de la fin son pessimisme, pour le transformer en révolte, ironie, mystère ou légèreté. C’est ainsi que l’histoire ambiguë de The End a pris forme, entre noirceur et lueur, dans les sous-entendus privés de chaque artiste. Avec Filomena Borecka, Anaïs de Chabaneix, Charlotte Charbonnel, Claire Chesnier, Aurélie Herbet, Michaël Jourdet, Farah Khelil, Astunobu Kohira, Jérôme Pierre, Magali Sanheira, Frédéric Kahn & Véronique Vertraete*, Bill Van Cutten, Koki Watanabe. Ce conseil poétique donné par Picasso, dit d’emblée ce que le sonore peut faire au visuel quand il en embrasse le projet. Mais ce sont les yeux grands ouverts que beaucoup d’artistes écoutent la radio dans leur atelier, d’autres travaillent en silence ! Qui saurait dire l’incidence de ce fait apparemment anodin, sur la formalisation des œuvres ? Au-delà de cette situation somme toute traditionnelle, il y a de nos jours, une prise de conscience poïétique des effets que les dispositifs sonores produisent dans le visible et quelle sorte de plasticité, ils sont susceptibles de provoquer. Nombre de créations, par le truchement d’objets ou de constructions, avec ou sans les moyens de la photo ou de la video, de l’acoustique ou de l’électronique, ont parfois le sonore pour source. Certaines performances dont le corps est toujours le centre, prennent forme dans l’expression de la voix ou dans des battements du cœur. D’aucuns écoutent la rumeur des villes, le crissement des arbres le bourdonnement des abeilles ou le silence de la peinture. Le paradigme ici ouvert est infini mais rigoureux : car ce qui importe, c’est la trajectoire créatrice du sonore vers le visuel et non l’inverse. Le son, pour une fois, sera donc ici premier. Nuit Blanche - Programmation officielle "Hors Parcours"
LUX EXTERIOR propose d'investir l'espace public par des projections vidéos sur les façades des rues Primo Lévi et Olivier Messiaen. Opening Saturday, August 24 th, 19h-22h. The exhibition will be opened untill Tuesday, Septembre 10th. Gallery Osmica, Kraljevića Marka 8, Belgrade. 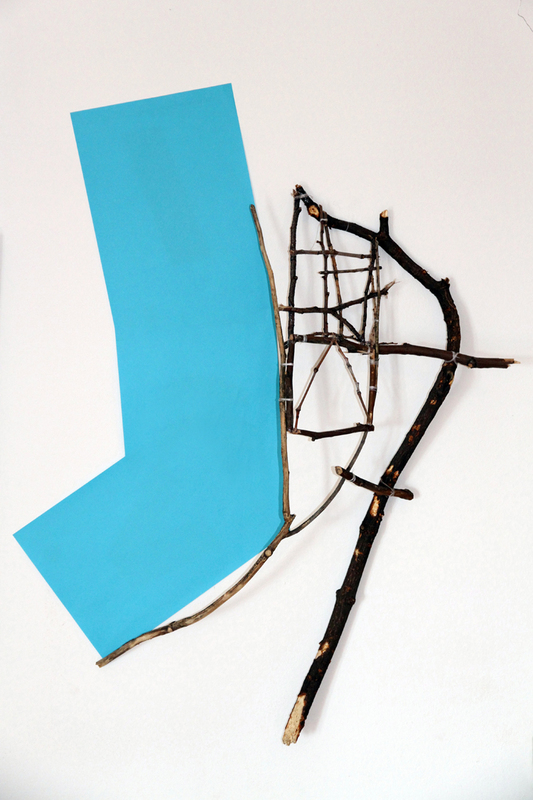 “Paradox landscape” is a set of fragmented, then re-composed and re-arranged shapes from nature which are combined in one place as a sort of a garden. In essence, the exhibition represents a nature’s hybrid inspired by author’s residency in Savamala district, at the very heart of Belgrade. As the district struggles to reinvent itself, more and more artists choose to explore its phenomena. “Paradox landscape” puts forward the notion of intricate interconnection of cultural, economic and natural elements in an urban environment. “Paradox landscape” stages objects as symbolic witnesses of history, and refers to events from the following three countries: Serbia, France, and Germany. On one hand, the piece “Songe” (translator’s note: dream, illusion, fantasy) depicts the effect rhythmical beats of “Comorian Bourkan” song, typically performed during the “Kabar” ritual on the Reunion Island (France), have on the leaf of the plant songe and drop of water on its surface. Namely, movement and illumination of the water drop come to be as a direct consequence of interaction with the sounds of “Comorian Bourkan”, but also due to climate conditions and technical editing. This binding of nature with man-made, wrapped around the semantic implications, further gets elaborated through the “Blue flower and white rose”, an Ikebana of sorts. The White rose is the name of a highly relevant resistance group from Munich during the World War 2. They based their mission on the pacifistic, utopian principles and were heavily influenced by German writers like Goethe and Novalis. This particular installation combines a white rose with a blue flower, effectively broadening the reference to the unfinished novel by Novalis, named “Heinrich von Ofterdingen”. The story of unlimited affection and constant search for the object of that affection i.e. blue flower, ties in with the utopian strivings. “Fall of the tree”, an inverted and flattened Ex-voto, brings the linguistic and transformative intermediate stages to the point where the causality becomes less obvious and lost, and effectively – we perceive almost nothing of the original event. Constantly referring to the fall in a tautological way. The ultimate piece of the garden, called “Phantasma”, shifts our focus back to the starting point – Savamala. Author’s psycho-geographic rendering of the district’s structure of roads and streets through the medium of metal rods is covered with white satin cloth. The shape rods form under white satin appears ambiguous and almost like a fantasy. At the moment, Savamala is undergoing a process, which will eventually re-define it; author’s current rendering is somewhat like a ghost connecting past, present and future. In the end, “Paradox landscape” questions the sentiment and the idea of nature as such, where things are both true and contradictory. It gives us an insight in a landscape of Savamala where a string of paradoxes are being articulated. Building a garden is a manifestation of a need for compensation of anxiety; form of re-appropriation of nature. By sampling nature, picking what is pleasing in it, and defining enclosed space, the author makes an attempt to converse with it. The choice of the exhibited objects is oriented towards their significance to what they represent: spectator’s beliefs, superstitions, or utopias. In addition, each piece of the exhibition shows a phenomenon of simultaneousness. The effect of it is questioning the spectator’s relationship with reality, and how they project themselves in it. “Paradox landscape” tests how we interpret the signs, relying on formal correlations and temporal coincidences. Furthermore, the exhibition forms new connections between the presented concepts. The aim of “Paradox landscape” is not to provide theoretical evidences to distinguish the truth and the facts, but to pave the way for critical and sceptical questioning of Savamala’s paradigm. Magali Sanheira – Artist in Residence / Urban Incubator / Savamala / Gallery Osmica, Kraljevića Marka 8, Belgrade. In 2013 the Goethe-Institut Belgrade will launch an alternative urban development project called Urban Incubator: Belgrade. The aim of the project is to generate urban development not in the manner of large-scale top-down urban planning design, but rather on the basis of individual cultural and social initiatives that are qualifying urban space from the bottom-up. The Urban Incubator: Belgrade will be located in Savamala, a quarter located at the River Sava and close to the old city center, which is in a state of severe decay. The 3BGD idea, apart from setting up a gallery on the Danube bank, is to make a site-specific Media Lab which should bridge Savamala’s artistic space to the rest of the artistic initiatives and artists in Belgrade. The Savamala venue would represent not only another culture site, but also a new mental space, that is, a new module of structuring of art and culture which would represent an utopian model. Utopia today is a representation of social contradictions and an attempt to define the enclave within the social space. 3BGD should install a temporary experimental field, the mental space, in which artists of 3BGD will invite certain artists or certain artistic positions. The criteria to invite somebody is the term love. The concept, according to which the interaction takes place, is defined in the title “We love also the art of others”. Invited artists would have an obligation to conduct their artistic research in the context of Savamala, to thematize and ultimately to articulate site-specific work in the form of “new media”. This kind of work should also be presented in Savamala. The presentation space should be defined in relation to the artistic work itself. 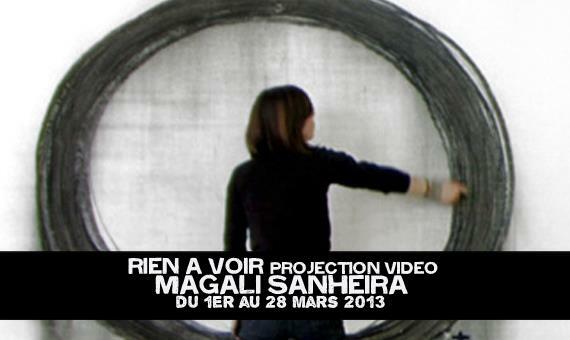 All throughout August, artist Magali Sanheira will be working and residing in Savamala as Third Belgrade’s guest. Currently, the artist is undergoing preparations for the project Paradox Landscape. The project will be exhibited by the end of the month as part of We also love the art of others programme at the Urban Incubator: Belgrade project. Magali’s residency is curated by the Third Belgrade as part of a strategy to expose young artists to Savamala and provide support for artistic exploration of the many district’s phenomena. Quel projet pour l'ancienne Ecole d'architecture de La Défense ? Auditorium Cité de l'Architecture et du Patrimoine. vidéo réalisée en collaboration avec Gaël Angelis. Vernissage le 13 avril de 16 h à 21 h.
Ouvert du samedi au dimanche de 14 h 30 à 19 h.
Secrète et initiatique la géométrie a toujours été présente dans la peinture. 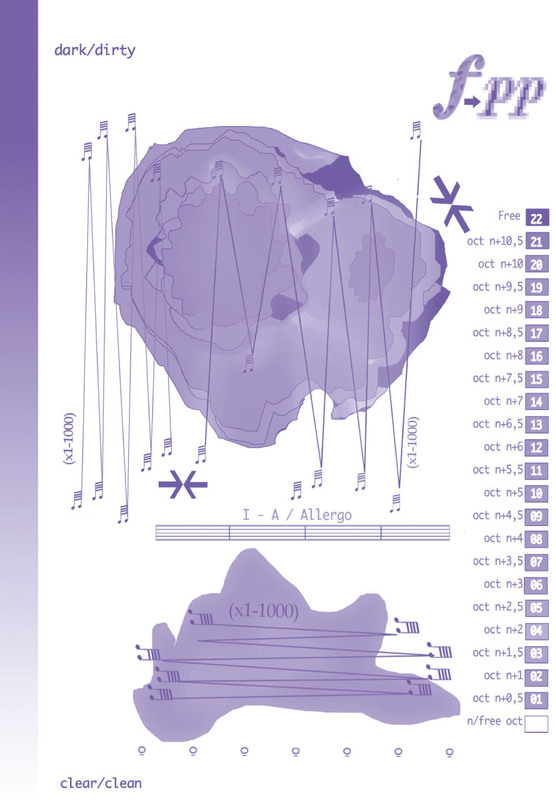 Elle organise l’espace du tableau, met en avant un élément particulier, attire l’attention sur un point symbolique ou guide l’œil vers une partie remarquable de la représentation. Le XXe siècle voit la naissance de l’abstraction qui, balançant entre les pôles de la raison et de l’instinct, s’exprime soit par le cri soit par le style. Malevitch et Mondrian ont mené l’abstraction raisonnée vers des voies triomphantes. La peinture géométrique devait changer le monde, le rendre meilleur. Mais leur pratique mit rapidement en évidence les li- mites idéologiques et conceptuelles de ces mouvements : le supréma- tisme pour Malevitch et le néoplasticisme pour Mondrian. Seules leurs œuvres plastiques sont venues jusqu’à nous. 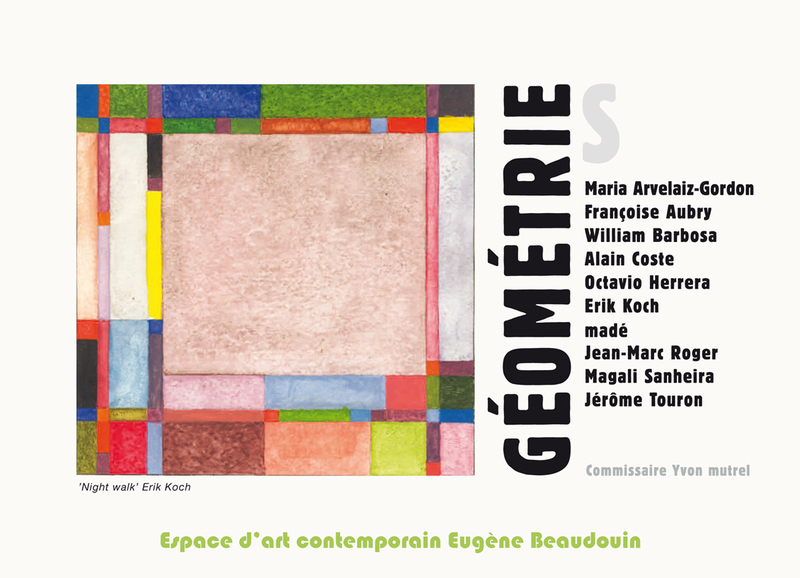 Pourtant les pratiques d’un art géométrique ont continué à faire école au cours du XXe siècle : Kelly, Noland et Stout aux USA, Albers, Bill, Vasarely, Dewasne, Legros et Gorin en Europe. Les artistes invités à l’espace d’art contemporain Eugène Beaudouin, poursuivent dans cette voie avec des intentions différentes. Ils ne s’inscrivent plus dans des groupes ou des mouvements idéologiques. Leur travail est solitaire, ils ne veulent plus changer le monde, mais s’affirment dans une quête silencieuse et spirituelle. Ils nous donnent à voir et nous offrent un espace mental apaisé, silencieux et intemporel que chacun de nous peut reprendre à son compte pour en investir ses territoires et y vivre sa propre aventure spirituelle. - Visite à 15h avec la commissaire d’exposition Bénédicte Chaljub. - Seconde visite à 16h30 toujours en compagnie de Bénédicte Chaljub. Le projet vise à mettre en lumière des architectures remarquables de la ville de Nanterre construites pendant les décennies 60 et 70, durant lesquelles architectes et artistes collaboraient étroitement. L’exposition, co-commissariée avec Bénédicte Chalchub, architecte et docteur en histoire de l’architecture, fait la part belle aux représentations picturales et photographiques de ces constructions. A 19h, correspondance musicale dans la galerie avec un musicien de l’ensemble orchestral de musique d’aujourd’hui TM+. Cette exposition vise à faire mieux connaître des architectures du XXième siècle, encore trop mal connues. Un travail de médiation auprès des classes permettra en particulier d’éveiller le regard des plus jeunes sur l’architecture dans leur ville (en partenariat avec le CAUE 92). Un livret d’une trentaine de pages sera édité à cette occasion. L’exposition « Architecture – Arts plastiques – Nanterre » ambitionne d’évaluer le rôle des arts plastiques dans la conception et la représentation d’édifices projetés dans les années 60 et 70 sur le territoire de Nanterre. Il s’agit de productions d’architectes ou de plasticiens œuvrant dans le champ de l’architecture, réalisées ou non. Dans une scénographie conçue pour le projet par la commissaire architecte, les visiteurs trouveront des documents sur la cité Emile Aillaud, la bibliothèque universitaire d’Edouard Albert, « Le Bateau » de Roger Cazaneuve et Emmanuel Perray, L’Hôtel de ville de Jean Darras, Les bâtiments de Jacques Kalisz, le module utopique de Claude Parent (maquette empruntée à la Cité de l’architecture), la cité des Pâquerettes par Jean Prouvé (emprunt d’un panneau à la galerie Patrcik Seguin), le projet de tour Lumino Cybernétique de Nicolas Schöffer, la préfecture par André Wogenscky. Des représentations de ces bâtiments par Yves Belorgey (peinture monumentale empruntée au FNAC), Cheikh Djemaï (documentaire), Pierre Joly et Véra Cardot (photographies du Fonds de la Bibliothèque Kandinsky du Centre Pompidou), Marta Pan (sculpture), Magali Sanheira et Gaël Angelis (vidéo), Fabio Rieti (mosaïque), Eric Sempé (photographies), Olivier Turpin (peintures), nourriront cette mise en lumière. Rien à voir est une programmation de vidéos qui a lieu aux Instants Chavirés et qui présente de manière monographique les travaux d’artistes plasticiens, émergents ou confirmés entre l’ouverture des portes et le début du concert. Chaque projection est en entrée libre, le concert qui suit reste payant. Plus qu’hier, moins que demain. 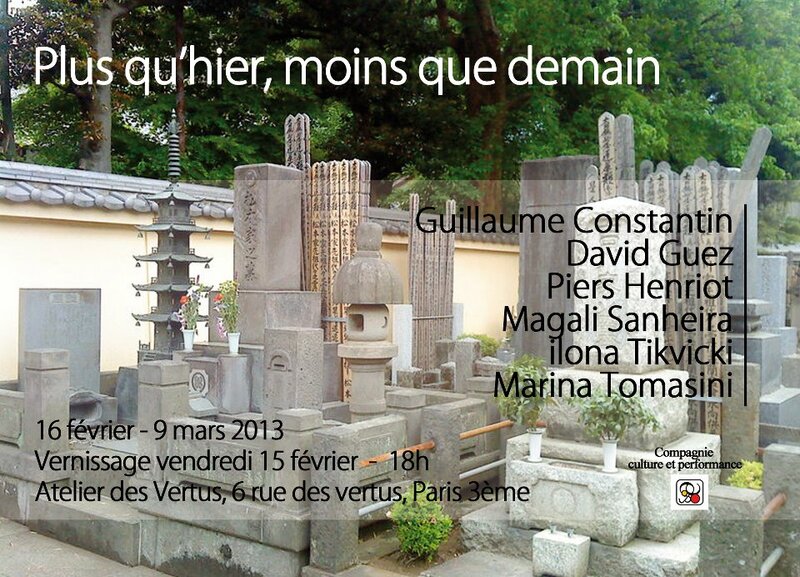 Atelier des Vertus, 6 rue des Vertus, Paris 3e. A la fois banale (inhérente au quotidien) et hors norme (elle occasionne l’éclatement du raisonnement) l’aporie survient lorsque deux propositions vraies mènent à une impasse logique. Mis à mal ce raisonnement perd de sa fluidité. Il y aurait perturbation, incohérence et diffluence. Tel un mécanisme qui se grippe, la pensée cherche une issue et s’enraye. Le parallèle propositionnel induirait une dislocation du système. En effet il arrive qu’il n’y ait pas d’issue. Ces circonstances préparent le terrain de reconfigurations improbables. Au-delà de chercher à rassembler des plasticités emblématiques de cette notion, les artistes invités ont pour certains sélectionné dans leurs bases de travaux existants des pièces y faisant écho et dont les angularités idéiques induisent des répercussions sur le devenir de la situation aporétique : des ouvertures conceptuelles énigmatiques (Piers Henriot), une poétique paroxystique de la communication asynchrone (David Guez), de l’onirisme et une extrapolation bioéthique post-punk (Marina Tomasini). Mais encore dans la dynamique de leurs productions certains artistes infiltrent la bombe et désamorcent le processus (Guillaume Constantin), agissent comme force de contention de l’explosion (Magali Sanheira) ou annule l’opération par le biais de la réduction matérielle de l’œuvre (ilona Tikvicki). Il s’agit là de jouer et d’éprouver les conditions propres aux apories, d’observer les positionnements, les réflexions stratégiques et les expériences de l’ouverture en vue de déjouer les impasses du réel. Est-ce aussi une manière de dessiner une « zone tampon », un lieu temporaire de résolution des apories ?